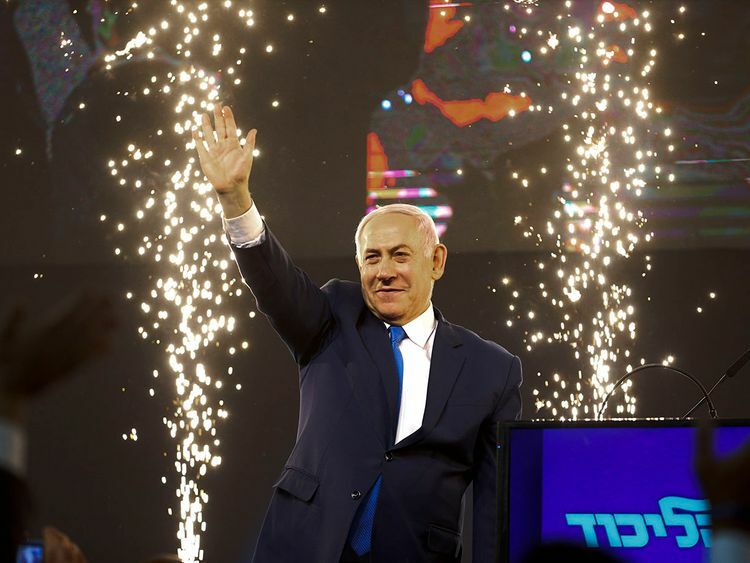 Tel Aviv: Prime Minister Benjamin Netanyahu appeared best placed to form a governing coalition Wednesday after high-stakes Israeli elections, exit polls showed, but remained in a tight race with his main rival as votes were being counted. Both Netanyahu and ex-military chief Benny Gantz claimed victory after initial exit surveys were released by Israel’s three main television stations following the closure of polling venues on Tuesday night. Two updated exit polls early Wednesday put Netanyahu’s Likud ahead of Gantz’s Blue and White by one seat. A third poll showed the opposite, with Blue and White holding a one-seat advantage. Both parties would in any case fall far short of a majority and be forced to form a coalition. Exit polls have proven to be unreliable in past Israeli elections and final official results were not expected until later Wednesday. With some 64 per cent of the vote counted, Likud had 27.59 per cent compared to Blue and White’s 26.04 per cent, official results showed. “The president must give us the task of forming the next government since we are the biggest party,” he said after initial exit polls. Netanyahu spoke later and declared himself the winner of a fifth term in office. “It will be a rightwing government, but I will be prime minister for all,” he said.